Despite the massive fears of a bubble around cryptocurrency — especially Bitcoin — the world is increasingly moving towards the adoption of digital currency. 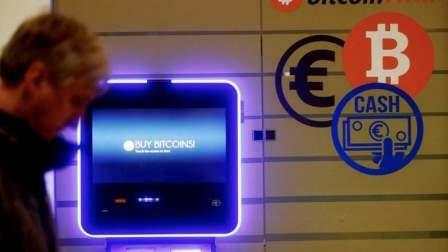 The fever to cash in on the growing popularity of digital currency is gripping UAE residents and entities — thanks to the consistently skyrocketing value of Bitcoin over the past couple of years. In UAE, the residents will soon be able to make cash withdrawals from their cryptocurrency accounts at ATMs. On Tuesday, a US-based omni-channel solutions firm NCR Corp signed a deal with the UAE-based CoinHub to allow Bitcoin users to withdraw cash from their linked CoinHub cryptocurrency account at the ATM. The process will be similar to the conventional transactions. Customers will have the choice to use either an ATM card for a regular withdrawal or initiate a cardless session to make withdrawal from their CoinHub cryptocurrency account. Once the customer is authenticated, he can then see his CoinHub account details and all linked cryptocurrency accounts. They can then choose any of their wallets and enter the amount they want to withdraw. He noted that the dispensing of cash would be in fiat money, so the user can select the amount they wish to get in UAE dirhams. “We have seen interest from banks in the GCC and look forward to partnering with them to introduce this service,” Abi Aad said. The strong interest in cryptocurrency is emerging from both the public and private sectors. The UAE is working with Saudi Arabia to issue a digital currency which would be based on blockchain and would be accepted in cross-border transactions between the two countries, the UAE Central Bank governor Mubarak Rashed Al Mansouri said last week. UAE developers have also been incorporating cryptocurrency in their deals to woo property buyers. MAG Group announced it would offer customers the opportunity to purchase properties using OneGram, the first Shariah-compliant cryptocurrency. In September, the UK-based Money Trade Coin also launched a digital currency in the UAE by listing on the Sweden’s Nova Exchange.